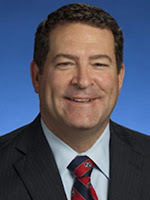 Green, you may recall, is the author of Tennessee's senate bill 127. The bill was worse than the garden variety “license to discriminate” measures because it attempts to deliberately obfuscate its purpose. Nevertheless, the effect would be to not only permit, but to encourage, discrimination against people that business owners disapprove of. Green felt it was necessary to disguise the measure. Dishonesty seems to flow generously from these moralists when it suits their purpose. SB-127 may very well define the difference between upholding religious values and bigotry. Green maintains that LGBTQ activists and other Leftists have had a field day tarring and feathering him by twisting his words and demonizing him – mainly by taking his statements out of context. “ Americans for the Truth about Homosexuality (AFTAH) President Peter LaBarbera agrees that Green – the military hero who interviewed Saddam Hussein the night before his Army capture – has been the undeserving subject of the Left’s wrath. That's all lovely but Green is a bigot. We judge him on his actions. The US military is a diverse fighting force and senior appointees should be people who understand what that means. Just getting reconnected to the world (with some remaining difficulties).